A database used by Islamist groups to support claims that the Muslim community is responsible for helping to break up one-third of terrorist plots is based on flawed and selective use of data, an Investigative Project on Terrorism analysis shows. MPAC ignores traditional law enforcement techniques, specifically avoiding the use of informants, a technique that the organization frequently condemns. Despite its flaws, the MPAC study continues to be cited by the media, with the New York Times recently inflating the statistics and stating—without bothering to review the underlying data—that according to a recent MPAC study "almost 4 of every 10 Qaida-related terrorism plots," were broken up with the help of "community assistance." They accepted MPAC's claims without bothering to review the underlying data. Community help in all forms of crime prevention, not just terrorism, is critical. But the MPAC report is totally dishonest. The report suffers from a number of flaws—namely that it selectively defines what a "terrorism incident" is, overstates the role of the Muslim community in the cases identified, and seemingly ignores the contributions made by informants, a group that MPAC has condemned and falsely claimed to have instigated terrorist plots. The MPAC report claims to track "terrorist incidents – prevented and occurred – within and against the United States since 9/11." Identifying 42 cases over the past decade, MPAC highlights the role of Muslim community cooperation in 16 of the cases but doesn't provide a detailed breakdown of the cases. MPAC touts the role of Ahmad Wais Afzali, an imam who actually tipped off Najibullah Zazi, the man plotting to bomb the New York City subway. In the case of Abdulmutallab and the recent al-Qaida in the Arabian Peninsula plot to blow up airlines using ink cartridges, the tips came from abroad and involved no cooperation from the U.S. Muslim community. In the other four cases—that of Umar Farouk Abdulmutallab, the failed Christmas Day Bomber; the five Virginia students who attempted to travel abroad and engage in jihad in Pakistan known as the ZamZam 5; two other Americans attempting to travel abroad to support al Shabaab; and the recent arrest of Mohamed Osman Mohamud, the Portland Christmas Tree bombing plotter—each involved family members turning to authorities. MPAC claims that while "Afzali is initially thought to have tipped off [Najibullah] Zazi to police surveillance, information in the court complaint and corroborating reporting from mainstream media sources found this accusation to be false." Although Afzali may not have been charged with tipping off Zazi, there was ample evidence that his actions did just that. On Sept. 10, 2009, New York Police Department detectives met with Afzali, who had served as an informant in the past. During the meeting, detectives showed Afzali photos of Zazi and others. Afzali contacted Zazi the next day and told Zazi that the police were asking questions about him, thus tipping him off about the law enforcement investigation. "I want to speak with you about something…I want a meeting with you," an affidavit filed in support of an arrest warrant quoted Afzali saying. "You probably know why I'm calling you for this meeting…I was exposed to something yesterday from the authorities. And they came to ask me about your characters. They asked me about you guys. "I'm not sure if somebody complained about you," Afzali continued. "I'm not sure what happened. And I don't want to know…They said, 'please, we need to know who they are…what they're all about.'... And I told them that they are innocent, law abiding…"
MPAC deliberately ignores more than 150 cases reported by the Justice Department as involving "material support or resources" to a designated terrorist organization, therefore enabling it to boost the percentage of claimed "community assistance." This includes prosecutions for providing weapons, money, personnel, and other support to designated terrorist organizations. While it's one thing for MPAC to believe that the "material support" law is improper, it's another to ignore cases that include the use of the statute. By ignoring these cases, MPAC leaves out the indictment and prosecution of six Americans for funneling money and personnel to al-Shabaab; the case of Sami Al-Arian, who was convicted of serving as the American leader of the Palestinian Islamic Jihad; and the now defunct Holy Land Foundation for Relief and Development, whose leadership was convicted of funneling millions of dollars to Hamas. The exclusion of the last two cases in particular is proof of MPAC's deception in compiling their database—the group was a vocal defender of both Sami Al-Arian and the Holy Land Foundation (HLF). After HLF and its leadership was charged in 2001 with funneling money to Hamas, MPAC signed a joint statement arguing that the goals of cutting off funding for terrorism and achieving peace in the Middle East could not be achieved "by taking food out of the mouths of Palestinian orphans or by succumbing to politically-motivated smear campaigns by those who would perpetuate Israel's brutal occupation." MPAC went on to criticize the government's action against HLF as "an unjust and counterproductive move that can only damage America's credibility with Muslims in this country and around the world and could create the impression that there has been a shift from a war on terrorism to an attack on Islam." Despite the protestations by MPAC, in 2008 the defendants were convicted of illegally routing more than $12 million to Hamas and sentenced to lengthy prison terms. "Such ambiguous assertions and inflammatory language about religious terms does not help in clarifying the direction of the war on terrorism nor does it reassure Americans of the effectiveness in the government approach in rooting out terrorism." Although the trial presented evidence of Al-Arian praising suicide bombers and calling for attacks against the United States, the trial ended in an acquittal, leading MPAC to issue a statement in support of Al-Arian: "The acquittal … proves once again that everyone deserves their day in court, and that such cases should be fairly tried in the court of law not the court of public opinion." On April 14, 2006, facing retrial on the nine charges, Al-Arian pled guilty to "conspiracy to make or receive contributions of funds, goods or services to or for the benefit of the Palestinian Islamic Jihad, a Specially Designated Terrorist." Considering MPAC's defense of both Sami Al-Arian and the Holy Land Foundation for Relief and Development, perhaps it's not surprising that they left these cases out of their "terrorism database." MPAC has been highly critical of the material support law, going so far as to condemn the United States Supreme Court in June for upholding it. "The ruling not only dismisses the fundamental rights that protect the work of such organizations vis-à-vis granted under the U.S. Constitution, but it also erodes the institutions of diplomacy and conflict resolution that are alternate measures to military force." Most recently, MPAC criticized raids in Chicago and Minneapolis investigating support for the Popular Front for the Liberation of Palestine (PFLP) and the Revolutionary Armed Forces of Colombia (FARC), both designated terrorist organizations. Calling the searches "fishing expeditions," Alejandro Beutel, the author of MPAC's terrorism database, argued "unless there is clear and convincing evidence that these activists were planning terrorist operations, then the justification of the raids is absurd." As the Investigative Project pointed out at the time, this argument reflects a misunderstanding of current law. The statute, which has become a cornerstone in U.S. counter-terrorism efforts since 2001, is intended to cover a wide array of support—both violent and non-violent, because: "foreign organizations that engage in terrorist activity are so tainted by their criminal conduct that any contributions to such an organization facilitates that conduct." Indeed, the most common types of support that Americans have been charged with providing to terrorist groups have been weapons, personnel, and money. While MPAC uses its flawed statistics to tout "community assistance," it continues to criticize another type of community help—informants. Informants are responsible for stopping more terrorist plots than community assistance. While the support of Muslim Americans is critical to breaking up homegrown and other radical Islamic terrorist plots, MPAC's condemnation of Muslim informants actually hurts law enforcement's ability to break up terrorist plots. MPAC has been hypocritical at best when it comes to the use of informants. While conceding that "informants are an extremely important tool that can be used to great effectiveness in various kinds of criminal investigations, including counterterrorism ones," MPAC has also made the false and incendiary charge that the FBI uses informants to actually instigate terrorist plots. In none of any of the terrorist convictions since 9-11, has a judge given this false accusation any merit whatsoever. The charge is designed to accuse the FBI of fomenting the terrorist plots, thus exonerating the real terrorists. Not only is this charge totally false, but it also radicalizes Muslims into believing that the government is conducting a "war against Islam", the number one mantra (no matter how false) that radicalizes Muslims into becoming terrorists. Beyond criticizing the effectiveness of informants, MPAC Executive Director Salam Al-Marayati has urged Muslims not to provide information to the federal government. During a July 2005 conference sponsored by the Islamic Society of North America, Al-Marayati said "we reject any efforts, notion, suggestion that Muslims should stay spying on one another. In fact, if you look at the Lodi case, the disaster of Lodi is that Muslims were reporting each other to the authorities saying 'Oh, this person is an extremist.'" Q: Is the FBI and federal law enforcement targeting Muslims? A: Absolutely, we do see that there is a trend … within the FBI, but more generally within law enforcement. Since 9/11 this has been going on. … These latest issues with informants seem to be the latest in a trend of ongoing issues." When it comes to informants, MPAC has been schizophrenic. The group claims its urges its members to be vigilant and help law enforcement officials, but it publicly calls informants agent provocateurs. However, that didn't stop Beutel from including cases involving informants in the terrorism database. Those include informants who helped break up terrorist plots in New York, North Carolina and New Jersey, just to name a few. Although MPAC identifies each of these cases within its database, they fail to highlight the critical role played by these informants in the investigations, thus trying to use these cases as part of their database without revealing to the public that they had previously claimed that these cases were illegitimate. The effect of failing to credit these techniques is clear. 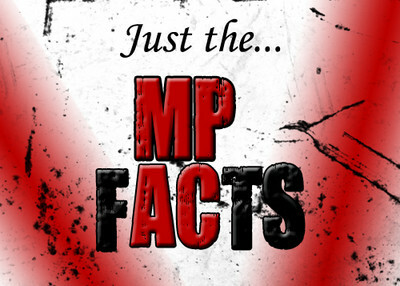 Even assuming that MPAC's statistics were are accurate, the remaining two-thirds of cases would not have been prevented without traditional law enforcement techniques. As the Investigative Project has explained when discussing MPAC's attempts to laud "community policing:"
"while it may be true that greater cooperation is needed among the American-Muslim community and U.S. law enforcement, suggesting that 'counterradicalization' and 'criminal activities' are mutually exclusive is preposterous. The two issues are completely intertwined; it is difficult to combat one without understanding and acting in concert against the other. Consequently, both law enforcement and the American-Muslim community should work together in fighting both terrorism and the radicalization that feeds it." As a review of its report demonstrates, MPAC is engaged in yet another game of deception. The organization selectively defines what a "terrorism incident" is and overstates the role of "community assistance" in order to skew its statistics in its favor, and ignores the role of traditional law enforcement techniques in dismantling domestic terror plots. More than anything else, MPAC attempts to claim credit for the Islamic community's role in breaking up plots when in fact, it has been far more influential in dissuading people from coming forward. Impressive report, guys. Thanks for the work you do to get the truth out. There are too many people buying the fraud being perpetrated by some Muslims in this country, and it's been going on for so long that it really helps to have a comprehensive report like this on a group that has been pulling the wool over people's eyes.